A woman holds a rose at the protest against the San Onofre Power Plant held Sunday, April 30. The group wants to see the plant dismantled forever. The Navy is San Diego Gas & Electric's largest customer, and the utility has been working on an agreement under which the Navy would temporarily reduce its energy consumption if regional supplies get scarce. In exchange, the Navy would receive a break on electricity rates. While utilities are working with customers to prepare for possible blackouts in the summer heat, protesters rallied over the weekend demanding the reactor never be resarted. The loss of the nuclear plant also makes it harder to import power into the San Diego area, where reliable energy transmission has long been a thorny issue. "If the (San Onofre) units remain down, you obviously have less power supply down there. If you have a transmission line go down, or another generator go down, you are in a very tight situation," said Bruce Kaneshiro, a supervisor at the state Public Utilities Commission. The San Onofre Nuclear Power Plant, which can crank out enough electricity for 1.4 million homes, has been shut down for nearly three months while investigators try to determine the cause of excessive wear on hundreds of alloy tubes that carries radioactive water in its massive steam generators. Last week the Irvine City Council urged the Nuclear Regulatory Commission to thoroughly review safety conditions at the plant before it is considered for relicensing in 2022. 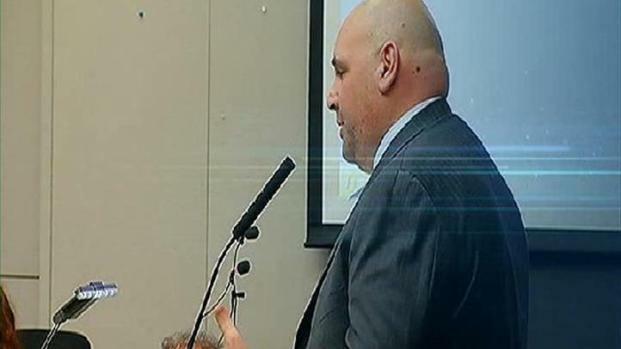 For the first time, Southern California Edison showed up to take part in a discussion on safety concerns over the San Onofre Nuclear Power plant. Community Outreach Manager for the plant, Christopher Able, spoke at the Solana Beach City Council meeting. The city requested in a letter that the evacuation zone be expanded to 50 miles, from 10 miles. 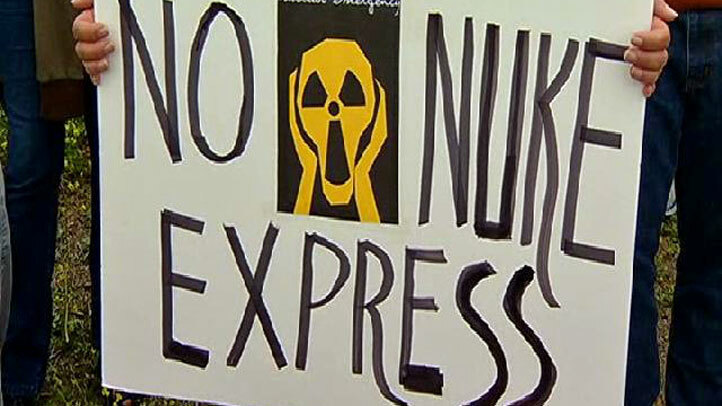 Nuclear experts, councilmembers and community members spoke at a "Shut Down San Onofre" rally held near San Onofre State Beach. "So many of us people that live around this different part of town are so concerned about the danger, the risk of being exposed to whatever could happen to this plant,” said activists Randy Ziglar. Many plant workers say the company practices strict safety measures. San Onofre's plant is in Congressman Darrell Issa's district. Issa said he hopes to see at least one reactor returned to service by June. He says if it can be done with 100-percent safety, he'd like to have one or both of those reactors back online.